It does seem kind of crazy not to fully utilize the amazing technology most of us carry around in our pockets to save our lives. While there are plenty of emergency apps available (so you might want to check that out), but the beauty of AML is that it requires no effort from the user. No additional hardware, downloads, or forethought. The importance of locating an emergency can’t be stressed enough, but it often takes up a lot of precious time during emergency calls — which could be used for giving live saving instructions. Countries that have now implemented AML have been able to more accurately locate callers, while spending less time doing it. Most phones today are AML compatible today, with iOS and Android supporting the feature natively. But out of the two tech giants, Google is miles ahead when it comes to proactive cooperation with emergency services, having worked for several years with Brussels-based NGO, EENA, which has been instrumental in the push for AML adoption in Europe and around the world. The location information doesn’t go through Google servers and is only sent to PSAP (Public Safety Answering Point or emergency call center) when an emergency number has been dialled — ensuring privacy. So whenever you make an emergency phone call in a country that supports AML, your phone automatically turns on all location services available to it and sends an SMS with your exact location to the emergency services — changing the accuracy of locationing from a 2 km radius down to just a few meters. To make AML adoption easier, Google makes ELS (Google’s system to deliver emergency location data) free to emergency services and has made sure the location messages using industry standard protocols (SMS, HTTPS) which can be easily integrated into the current technological infrastructure used by emergency services. Although some European countries have already implemented AML for their emergency services, there are still more than half that haven’t. Benoît Vivier, EENA’s Public Affairs Manager, says including AML in the new EECC was the push these countries needed. MEP Dita Charanzová was responsible for the EECC and pushed for the inclusion of additional emergency measures. To her, it was incredibly important to get this through on a European level. To make sure national emergency services don’t have to fight for location data 28 times and get 28 different mutually-incompatible systems. At least nine European countries are expected to adopt AML in the next 12 months and the rest before the end of 2020. 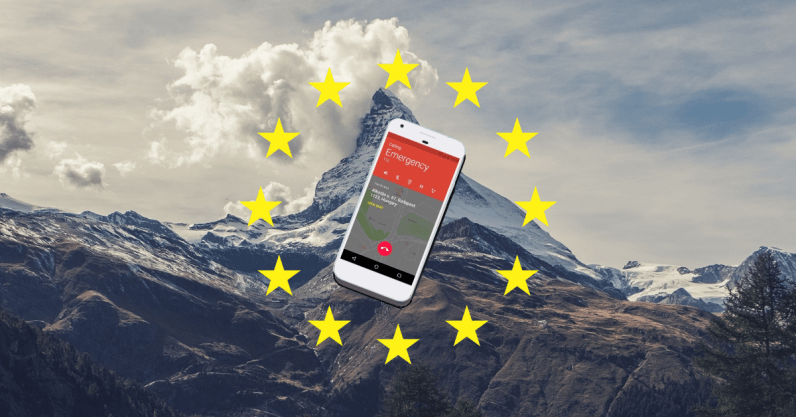 It won’t stop there, however, as of March 17 2022, the EECC will require all smartphones sold in the European single market to be able to provide handset-based location data.